'Quake was longest 15 seconds of my life' Jump to media player Dozens of people have been killed and hundreds injured in a powerful earthquake in rural areas of China's south-western province of Sichuan. Death toll grows after China quake Jump to media player More than 150 people have been killed and thousands more injured in a powerful earthquake in rural areas of China's south-western province of Sichuan. 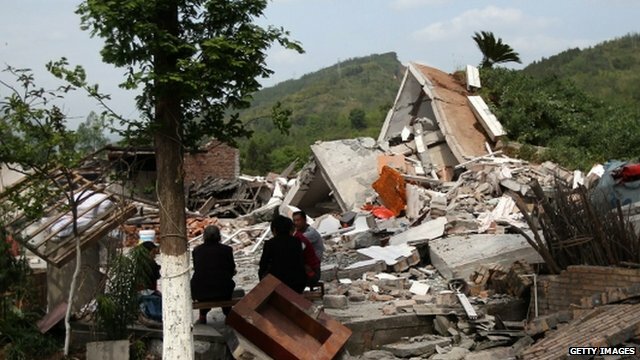 Dozens of people have been killed and hundreds injured in a powerful earthquake in rural areas of China's south-western province of Sichuan. 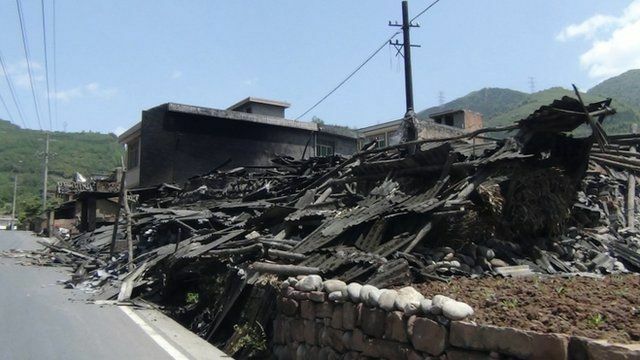 The 6.6-magnitude quake wrecked buildings and cut power in Lushan county, and officials say an initial death toll of 56 is likely to rise. English teacher Dobromir Zaprianov was asleep almost 80km from the epicentre - but said he was awoken by violent shaking.